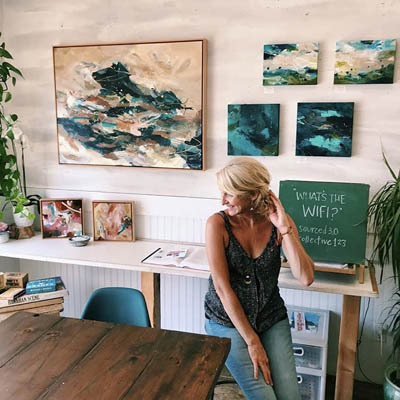 JCO’S Art Haus is a casual, inviting gem of a space in an unassuming warehouse in Los Gatos, CA. 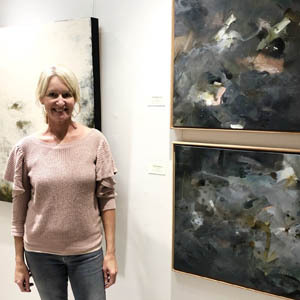 Among other events, and local art services, they host two big exhibits per year, each featuring different emerging and established artists’ works in all sizes, mediums and styles. 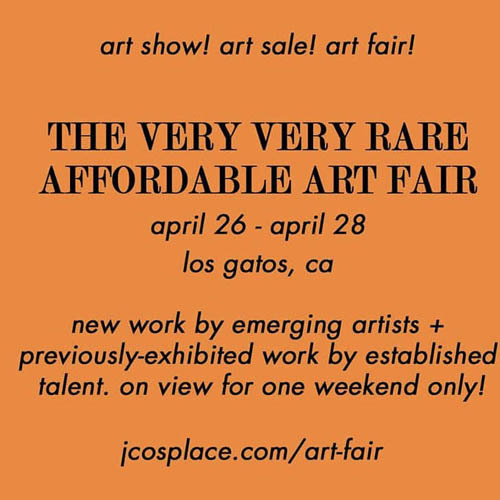 The mission of their “Very Very Rare Affordable Art Fair” is to create new collectors by exciting them with affordable art presented in an unpretentious environment, featuring works of both established artists and emerging talent. If you’re in the Bay Area the last weekend of April, you must stop by! Come shop the work of over 50 contemporary artists; I will have twelve pieces in the show, all sizes, painted from 2017-2019. A small collection of my work is displayed in the Center for Women’s Health at Scripps Memorial Hospital in La Jolla. If in the area, stop by to see my work, alongside the work of local abstract artists, Nancy Torns and Rick Crandall. This beautiful hospital embraces art and uplifting aesthetics for its patients and visitors, making it a joy to walk around. Stop by to see some of my art up close, and take in the surroundings both inside and outside among manicured gardens and many sculptural installations. It’s time for my seasonal Art Escape in my backyard studio, and this one is all about embracing the warm hues of autumn. 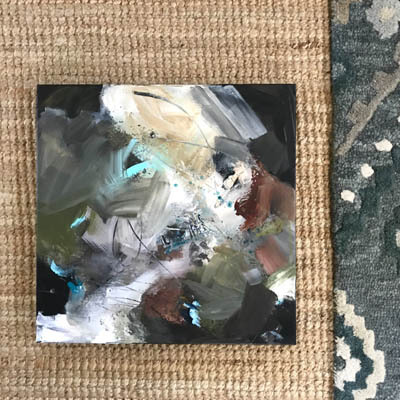 We’ll be creating 10x10" abstract paintings with acrylic paint & oil pastels, using your favorite fall color palette…the perfect addition to your décor for the holidays! This intimate evening for six is not just about creating, but also about embracing our creative spirits and connecting with one another in an inspirational atmosphere. At the end of the escape, you will go home with a beautiful piece of art and a full heart. Go to my Art Escape page for more details & to register. Friday, November 9 | 7 - 9:30 p.m.
Live near or visiting the lovely coastal town of Laguna Beach? Come visit me & my art during my two-month residency at Sourced and take a look at my newest collection of work, the “Pacific Coast Highway” Series, in person! This isn’t a true residency, as I won’t be there 24/7, but my PCH Series will be on display the entire time and I’ll be attending the events listed below. During the pop-up, I’ll have small “PCH” paper color studies for sale AND I’ll be live painting on a large canvas for you to see my process. The details for the workshop are in the event listed above. I’m so looking forward to this opportunity to share my story, my artwork and my perspective with the local Laguna community. Hope you can join me at one of the events! Laguna Art Walk: September 6 | 6 - 9 p.m. I'll be hosting this workshop at the adorable Sourced Collective in Laguna Beach, so if you're in the area this one is a must! My "Pacific Coast Highway" series is hanging on all the walls at Sourced and will be the starting point for our PCH abstract landscape. 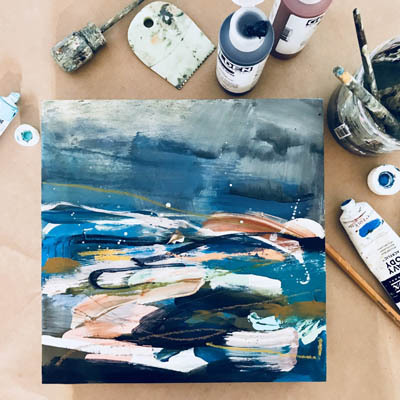 With several color palettes to choose from and lots of images for you to use as inspiration for your piece, everyone will choose a favorite spot along this iconic road and create an abstract rendition on a 10x10 canvas. This is a unique guided experience, as each person will create his/her own painting, rather than everyone painting the exact same artwork. Wine and light snacks will be served...the perfect creative happy hour before heading out for dinner! It’s time for my seasonal Art Escape in my backyard studio, so let’s celebrate the sweet end of summer together with some creating and socializing! 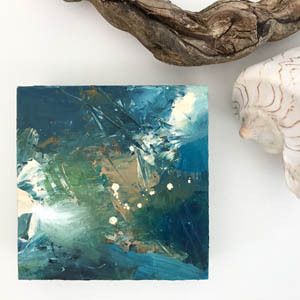 We’ll be painting 10x10" abstract landscapes with acrylic paint & oil pastels, in a similar color palette to my recently completed ‘Pacific Coast Highway’ series (think oceans, mountains and sunshine!) This intimate evening for six is not just about creating, but also about embracing our creative spirits and connecting with one another in an inspirational atmosphere. At the end of the escape, you will go home with a beautiful piece of art and a full heart. Go to my Art Escape page for more details & to register. This juried exhibit honors the verdant world, so if you like the color green, this exhibit will make you swoon! All types of artwork and media will feature green as a prominent color, with styles, sizes and genres for everyone! My piece (shown here), “Well, That’s Just Peachy”, will make its first gallery debut and I’d love you to see it in person. Please come by for the opening, enjoy a glass or two of wine and wander the exhibit with me! If you can’t make it to the opening, the show will be up from July 14th to August 18th. Entrance is free! Opening Reception, Saturday, July 14 | 6 - 8 p.m. Headed to sunny Palm Springs for Memorial Weekend? Stop by the beautiful new West Elm to do some shopping, say "hi" and see all the artwork I’ll have marked at special “local” prices! I’ll be bringing all sizes of originals, framed works on paper, painted table runners & small gift-size treasures for the graduate in your life...something in every price range for you to choose from. 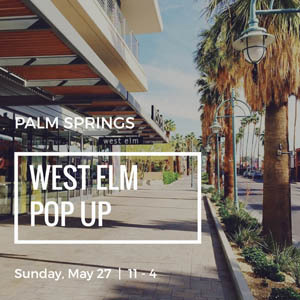 Come by and see me while strolling, shopping and dining on Palm Canyon Drive...I'd love to meet you or see a familiar face! It’s time for my seasonal Art Escape in my backyard studio, so let’s celebrate spring together with some creating and socializing! 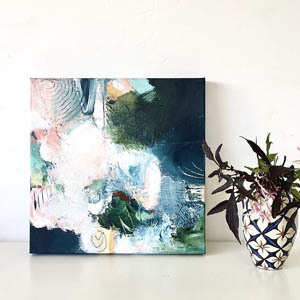 We’ll be painting abstracts on 10 x 10” wood panels, similar to the one shown here, and you’ll be able to choose from several color palettes for your artwork. The process will be a simplified version of how I paint my own abstracts, so don’t worry if you’re not an experienced painter! This intimate evening for six is not just about creating, but also about “renewing” our creative spirits and connecting with one another in an inspirational atmosphere. At the end of the escape, you will go home with a beautiful piece of art and a full heart. Go to my Art Escape page for more details & to register. 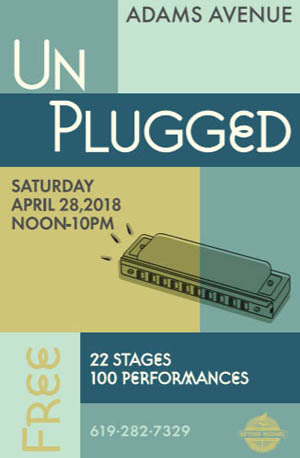 This free musical walkabout takes place along a two-mile stretch of Adams Avenue, from University Heights to Kensington. The event will feature live musical performances staged inside restaurants, bars, coffee houses and galleries lining the neighborhood. Since my artwork is for sale at three locations on Adams Avenue (Bench Home, Kiko & Sven and MRH Interiors), I’m offering 15% off all art at these shops for the day! 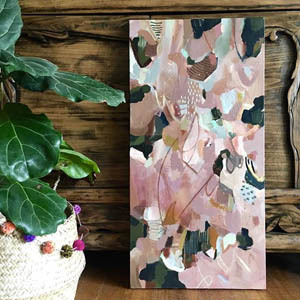 If you want to come hang out with me and take an Instagram pic in front of my abstract painted backdrop, swing by MRH Interiors anytime on Saturday. I’ll be there all day! Saturday, April 28 | noon - 6 p.m. This workshop includes two creative projects in one fun night! I’m going to teach you how to make the trendy wooden dowel picture frame (shown here) AND paint two modern striped abstracts (one multi-colored and one ombré) to hang inside it! The frames will be pre-assembled, but I’ll give a tutorial and you choose the wood stain color and leather strap. For the artwork, you will be able to choose from several popular color palettes for both 11x14 pieces. 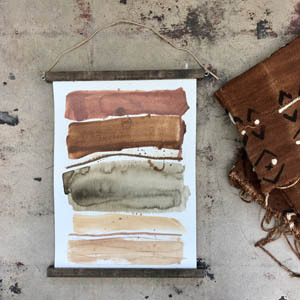 The great thing about this workshop is that you will not only learn how to make the frame, but I’ll give you a list of materials so you can make more at home! And if you don’t, then you can always switch out the artwork anytime you feel like a change. Please come join me for an evening of painting, building and socializing in the beautiful and inspiring atmospheres of Mint Studio & MRH Interiors, where you can create, sip wine and shop at the same time...a perfect night out! And bring a friend! Click on the links below for more details & to register. 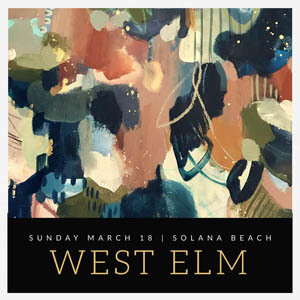 Thursday, March 22 | 7 - 9 p.m.
Thursday, April 5 | 6 - 8 p.m.
Stop by the beautiful new West Elm in Solana Beach to do some shopping, say "hi" and see all the artwork I’ll have marked at special “local” prices! From small and large originals on canvas & framed works on paper, to painted table runners & canvas bags...I’ll have something in every price range for you to choose from. And best of all, these handmade treasures will be available right in your favorite home furniture & décor store. Come by and see me after your morning coffee on Cedros...I'd love to meet you! This juried exhibit features the newest work of local San Diego artists, so there will be a wide range of styles, sizes and genres for everyone! My piece (shown here), “You Belong Among the Wildflowers”, will make its gallery debut at this exhibit. Please come by for the opening, enjoy a glass or two of wine and wander the exhibit with me! If you can’t make it to the opening, the show will be up from February 17th to March 17th. 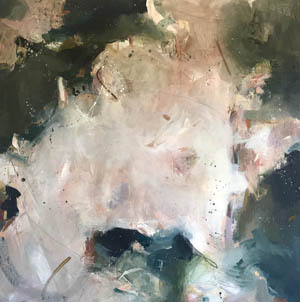 Art on 30th is a wonderful, inspiring venue with not only this current exhibit, but a solo show with artist, Rick Crandall, and sixteen open artist studios to tour. Entrance is free! Opening Reception, Saturday, February 17 | 6 - 8 p.m.